Michael Bennett is one good football player with important athletic skills for a defensive line. The American football defensive end has an all-around game approach. His ability to read the offense well, his repertoire of moves, and good use of hands have earned him a good stance in the National Football League. Bennett is also fast, quick and a capable run-defender with good strength and ability to shed blocks. He began his professional football career in 2008 with the Seattle Seahawks and with almost a decade gone, the young defensive end has earned for himself a nice career highlight and awards matching up with his long years of football experience. Let’s learn more about the young NFL player for the Philadelphia Eagles. 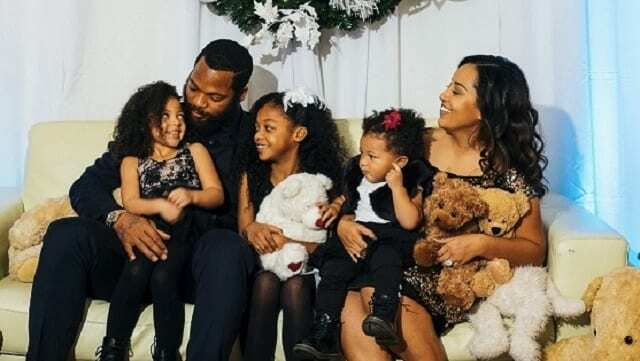 Michael Bennett Jr. was born on November 30, 1985, in Avondale, Louisiana, but he was raised by his father and stepmother in Huston, Texas. The youngster began his athletic journey in Alief Taylor High School also located in Houston. He was known for being a part of his school’s football, track and baseball teams where he performed extremely well. Playing as a lineman in his senior year, Bennett was awarded the first-team All-District honors after making a total of 110 tackles with 4 sacks. He was also exceptional in vertical jump and in discus throwing. When Michael Bennett went to Texas A&M University, he joined the Texas A&M Aggies football team as a fresher and distinguished himself as his team’s best tackle. As a junior, he moved to the defensive end in 2007 and by the following year, he had earned an honorable mention to the All-Big 12 Conference team after recording a total of 43 tackles including 6 tackles for one loss of yardage. The defensive end pushed his career further towards becoming a professional football player. He joined the NFL as an undrafted free agent and on April 27, 2009, he signed an agreement with the Seattle Seahawks and played his preseason games as a pass-rushing tackle. At the end of the preseason, he recorded 9 tackles, 5 quarterback hurries, 2 sacks, hurries, a tipped pass and a fumble recovery. He was however waived by the Seahawks on October 10, 2009, and on October 12, the same year, the Tampa Bay Buccaneers claimed him and made him play as a defensive tackle. Bennett left the Tampa Bay Buccaneers in 2012 but not without recording 41 career-high tackles, 9 sacks, and 3 forced fumbles. He went back to the Seattle Seahawks on March 14, 2013, and signed a year’s contract worth $4.8 million, with $1.5 million guaranteed. He then recorded his first NFL touchdown in a match against the New Orleans Saints and contributed to his team’s top NFL ranking in the defensive unit for that year. Additionally, he contributed to his team’s Super Bowl XLVIII win. While playing for the Seahawks, Bennett made notable achievements – he was in the Pro Bowl team (2015-17) and was named the Pro Bowl Defensive MVP in 2015. He earned his third straight invite to the Pro Bowl on January 22, 2018, after Everson Griffen of the Minnesota Vikings could not attend the game due to an injury. As of March 7, 2018, Michael Bennett was with the Philadelphia Eagles after the Seahawks traded him for wide receiver Marcus Johnson and a fifth-round draft pick. He was, however, penalized on October 7, 2018, for roughing a passer during a game against the Minnesota Vikings. Bennett’s career stats as of 2018 shows he has recorded 327 tackles with 63 sacks and 92 assisted tackles. In 2012, Michael officially became a husband to his wife Pele. The two got married at Hawaii after courting for about a decade since high school. The Texas native also attended Alief Taylor High School where Bennett’s football career began. Together as a couple, Bennett and his wife have three beautiful daughters namely Peyton, Blake, and Ollie. The couple runs the Bennett Family Foundation which supports healthy living practices like gardening which they do in their family backyard. When Michael was traded to the Philadelphia Eagles by the Seatle Seahawks, his wife Pele, in a tweet that went viral, thanked the Seahawks for doing so adding that their five years in the Seatle city was “so good” and full of “unforgettable memories”. She went ahead to list out all that her husband has achieved within the period of his service for the Seahawks and ended the message with their readiness for their next journey. See Also: Cole Beasley Biography – How tall is He, Who is The Wife? Michael has a younger brother Martellus Bennett who also played football professionally for eleven years before calling it quits in 2017. The Bennetts both played college football for the Texas A&M University before the younger one was selected by the Dallas Cowboys as its tight end in the second round of NFL’s 2008 draft. His early retirement followed a shoulder injury he sustained while playing for the New England Patriots, in November 2017. After retirement, he became an author of a children’s book. Michael’s other siblings include Donte and Reshaud Bennett. Michael is 6 ft 4 in (1.93 m) tall with a body weight of 124 kg (274 pounds). Other measurements including his hand, arm, biceps, chest, and waist have not been disclosed.